Replacing a roof is a significant investment and will be a big construction project. The roofer will help the homeowner protect their new roof or existing roof by providing maintenance services on a regular basis. 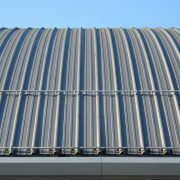 This can ensure that the roof is getting the proper protection. Some roofing maintenance tips will help make sure that the roofers cover everything that is necessary during this inspection. If you own your home, you will learn what to expect when a roofing professional comes to service your room. Asphalt is one of the most popular materials that are used in roofing. According to recent data, four out of five homes in the United States have asphalt shingles. 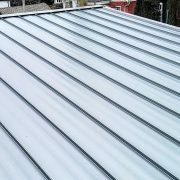 These roofs look great, are easy to take care of, and will stand up to weather conditions. How does a roof become damaged? Exposure to natural elements including sunlight, wind, rain, snow, etc. Why take care of your roof? Even if there are no visible signs of damage, homeowners need to have their roof inspected. Protecting the roof may prevent future damage and may avoid expensive repairs in the future. A roofer can assist the homeowner by doing routine maintenance on the roof twice a year, or after any significant storms. These storms include ice storms or significant events such as a tornado or a hurricane. For any roofing inspections or repairs be sure to contact a licensed roofing contractor. 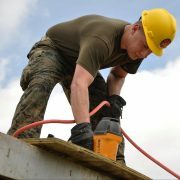 Removing debris from the roof and roofing systems is essential. Check out the shingles, the eavestroughs, downspouts, skylights, chimneys, and other ventilation systems. From the ground, the homeowner should look for any leaves, branches, or other debris on foot. A leaf blower may be used to clean off the roof. To reduce the amount of debris that can build up on the roof, remove any vegetation that may be hanging over it. A licensed contractor should be contacted to handle this. Using a trowel, dig out the leaves and other material that has collected in the gutters. This will allow the water to flow down the spouts properly. Eaves protectors can also be installed. These are metal meshed grates that will prevent organic matter from building up in the drains. Be sure that all of the downspouts are clear and water can flow from the roof away from home. Be sure to check for leaks or drips that occur after it rains. They should be reported to the contractor when the roof is being inspected. Once the roof is cleaned off, the inspector will look for any issues. The roof should be checked once in the fall and again in the spring. This will allow the roofer to make notes of anything odd and make small repairs if needed. The roofer will become familiar with the condition of the roof and will be able to detect any issues. This will help catch any potential problems early before they become a big deal. Be sure to have the ventilation system checked. It may need some repairs or may need a good cleaning. A professional roofing contractor should complete any asphalt shingles repairs to keep the roof in excellent condition. Small maintenance can prevent future issues. The contractor may replace shingles that are damaged or broken. They may also return missing shingles, roofing cement or roofing nails can be used to repair cracked shingles. Some shingles may even need to be replaced. Replacing or installing valley flashing: Valley flashings may need to be replaced if they are cracked, corroded, or are not holding in place. Replacing Other Flashings: roofing cement or nails may be used to replace the flashings around the chimney, vents, or other areas where it is in need of repair. Copper or galvanized steel has to be used around bricks because the motor may corrode the flashing. Repairing Gutters or Downspouts: the roofer may need to caulk or fix a gutter if the eavestrough or downspout is leaking. 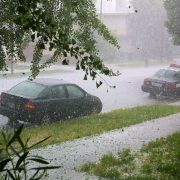 If they are sagging the contractor will need to work to determine the right pitch for proper drainage. Professional roofing contractors must keep formal records of all the inspections and repairs they do to their client’s roofs. This data collection will help make sure that all safety practices are used, and everything is done according to code. Residential roofing contractors need to make sure the roof on their client’s home is in good shape. Some recommendations can help keep the roof safer, and allow it to last longer. Keep a Log: A roofer should note any potential issues during the roof inspection such as rust or shingle issues. While it may not be a problem at the time, the roofer needs to check on it during the next review to make sure the problem did not get worse. The roofer then needs to consider if anything needs to be done to repair it. They should keep a log of any work done to the roof. This will help the roofer and the homeowner remember what sections need to be replaced, and any materials that may be necessary. This will also create a history for the homeowner. This can help contractors as well as future homeowners to see the work that has been completed. Take Pictures: the roofer should take pictures of the roof as well as the drainage systems. This will allow them to measure any potential problems and check it over time. These photos will allow the roofer to determine if the warranty may cover the specific problem. If you are looking to maintain the life of your roof or if you are a roofing professional that wants to educate your clients on the importance of roofing repair schedule a roof inspection. It will be well worth it.